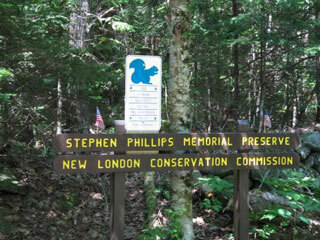 This trail is on a wooded hillside between Goosehole Pond and Otter Pond. 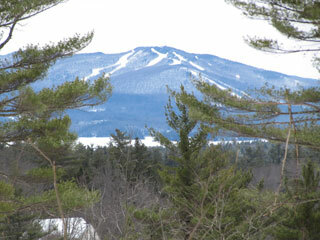 Trail highlights include a notable view of Mount Sunapee and Lake Sunapee and access to Otter Pond. The trail at the Phillips Memorial Preserve leaves from the parking area alongside Goose Hole Road, follows along the edge of the preserve property, climbs by an old quarry, then reaches the top of the hill. 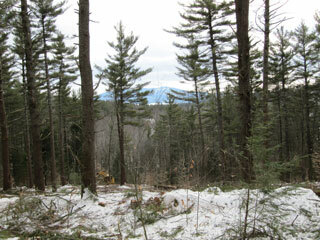 Good views toward Lake Sunapee are seen from the trail as it heads down toward Otter Pond. At the trail intersection toward the bottom of the hill, a turn to the right takes one to the edge of the pond and a turn to the left goes back to the parking area. The trail indicated on the map is just under a mile in length. 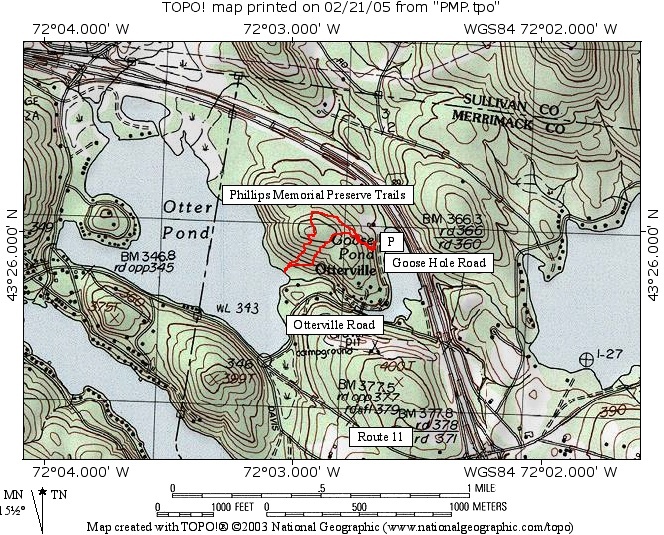 The height minimum at 0.55 miles on the elevation chart is at the edge of the pond. A forestry project was completed here in 2013 and a forestry cover map was prepared.